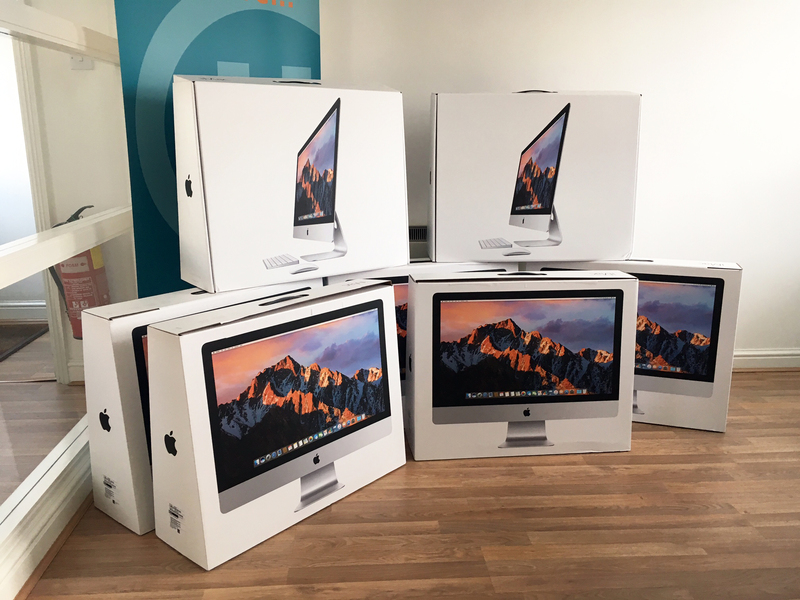 Christmas may just have come early for Hughes & Co Design – shiny new iMacs have arrived and are ready to be set up over the next few days. These are just a small part of our ongoing investment plans to help make sure we continue to keep up with client workload, and have the latest technology to deliver leading edge work – they also help to make Hughes & Co Design a better place to work for our team. The new iMacs are faster, more reliable and have the amazing 27 inch 5k ‘Retina’ displays to help our design team continue to create beautiful work. As an additional bonus, they also use less power than our current workstations, so the environment will benefit too.